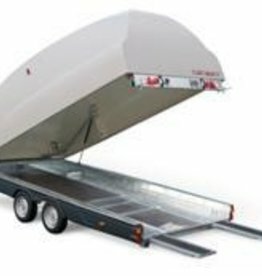 The Race Shuttle 2's attractive GRP clamshell body is simple to load and secure, in addition to providing security with low drag aerodynamics when moving your classic car. The brand new Race Sport Model 340-5510 is in every sense a Brian James Trailer. From the coupling to the tail lights.